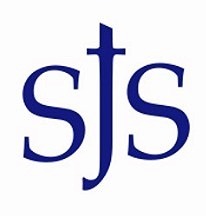 Welcome to Saint John School, a small school with big opportunities offering the best value in Metrowest Boston. Our students learn by doing through our hands-on, experiential curriculum; they learn by serving through our engaging service and social-emotional learning programs; and they learn together through collaborative projects and special events. We are the perfect size - school small enough to know every student well but big enough to offer everything our students could dream of and more. Come visit, and see for yourself. We are eager to show you more about what makes us special. Welcome to Saint John School. As the pastor of the St. John-St. Paul Collaborative, I am thrilled to shepherd a community with a Catholic school of unparalleled excellence. Our talented and dedicated faculty and staff are committed to the education of the whole child. I am also truly impressed by the dedication of the parents who partner with us in their children’s education. At Saint John School, our children receive a top quality education rooted in the beauty and values of our Catholic faith. We invite you and your family to come and join us!